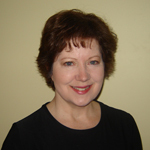 Mary Keifman is a Certified Personal Trainer and has been certified with AFFA since 2006. In 1999, she began teaching a variety of fitness classes including strength training, circuit training, step and water aerobics. Additionally she has lead a variety of weight loss programs. Mary has recently been certified with Take Shape for Life as a health coach. Working with all age groups and fitness levels, Mary believes in leading by example. She has a passion for helping others achieve their goals and reaching optimal health. Visit Mary’s health coach site .